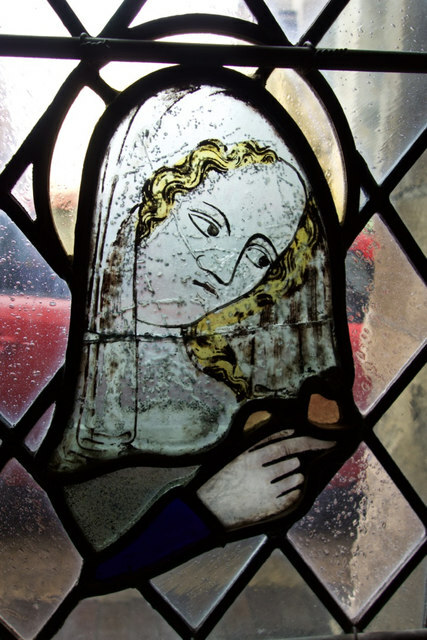 A detail of some of the stained glass in the cloister, where fragments of original medieval glass were incorporated into the windows in the 1950s. Talking of redevelopment: To the right of this bridge from 1982,83,84 in some lunchtimes I watched the High Rise open platform work of concrete and copper on the canal edge and talked to a man who worked in the freezing cold and biting wind installing ducting as a plumber and I think he was about my age, on the bus back to Portbury. His wife had great disability but she survived him. Down the road the Printers Union was thrown out of work during the Union Bashing so beloved by the Conservative Party so they could no longer print my books and other people's newspapers and I talked to one of their redundant (euphemism) men in a cafe sometime later, trying to get his children through school, alike the rest of us, to some alternative intelligence. The whole of this reach is now saturated in crushed rubble, offices and boating, but little work and few scenes, most of the industrial dock has been knocked down to conceal the History of Bristol to meet the Corporate Images. We still cannot get electronic printers to work on computers and generally the book industry has collapsed into irrelevance in published material and the High Rise are just full of people circulating each other's pieces of document around each other. Children cannot afford books, University students rarely read them. But the concrete and steel and men with broken lives still carry on. Maybe it is the fumes from the Brewery just up the reach that does it, especially in the Conservative Party? But our children have few future hopes and our friends are attacked. Posting written material on the Web is almost impossible so the nation has become silent, but the Corporate concrete rolls out of the quarries daily, crushing the lives of the general public.